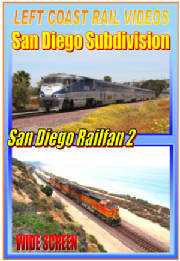 Click for details San Diego Subdivision "San Diego Railfan 2"
Featuring the Barnum and Bailey Circus Train leaving San Diego, and again from high above at Del Mar. 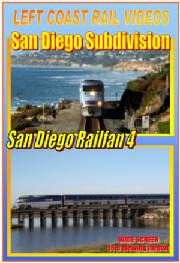 Digital video shot in Southern California’s San Diego Subdivision from Washington St. downtown San Diego to the very scenic coast at Del Mar. 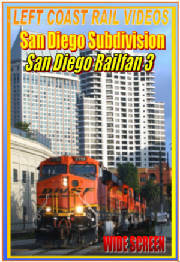 Click for details San Diego Subdivision "San Diego Railfan 3"
BNSF, Amtrak, Coaster action at San Diego's Santa Fe Depot. 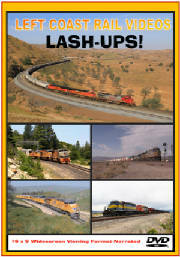 BNSF, Amtrak and Coaster mainline action from Torrey Pines, CA along San Diego's Surf Line to CP Ponto at Batiquitos Lagoon. Featuring SF3751 during it's visit to San Diego in May 2010. Digital video shot in various locations in the Southern California area including the San Diego Subdivision, the Sunset Route and the Cajon Subdivision. Includes 3 DVD's. 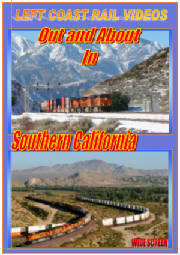 5 years in the making featuring BNSF, Union Pacific and Amtrak trains that are in some way interesting and unique in southern California and Arizona. Avaiable on DVD and Hi-Definition Blu-ray Disc. 16 x 9 Wide Screen Viewig Format. 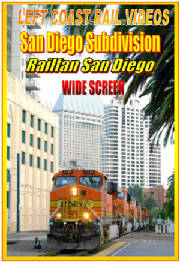 Digital video shot in Southern California’s San Diego Subdivision at the Santa Fe Depot/CP ASH.